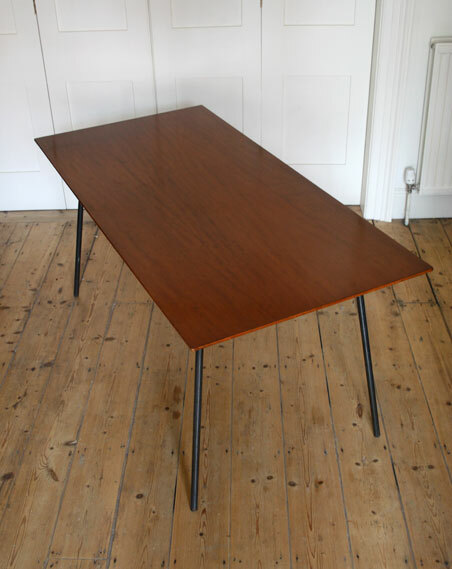 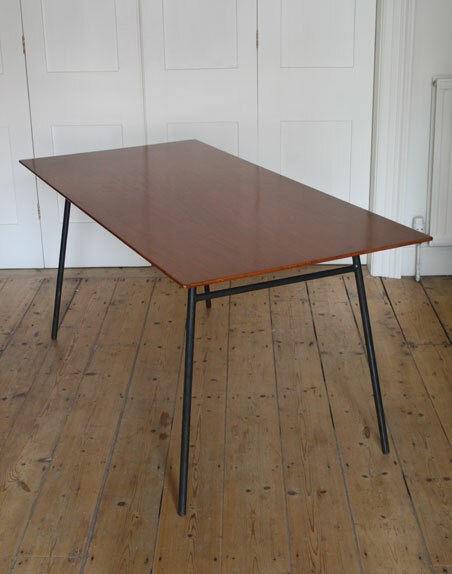 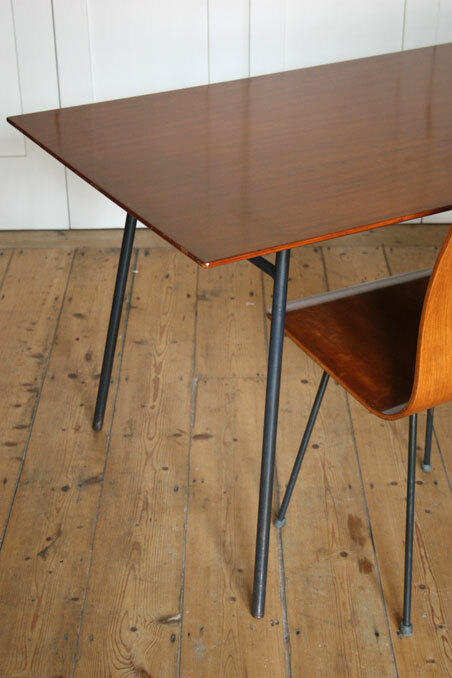 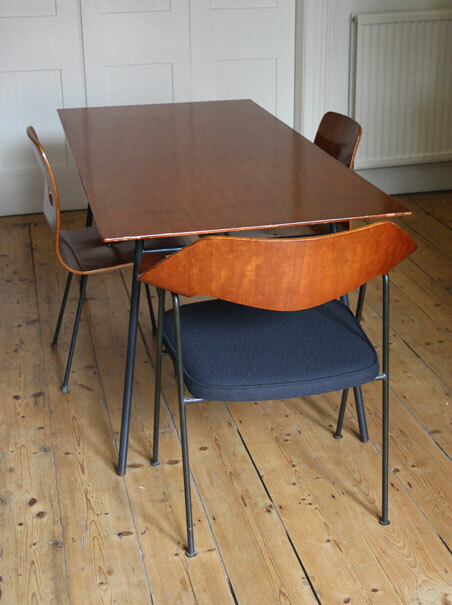 A model 677 dining table designed by Robin Day in 1952 for Hille, UK. 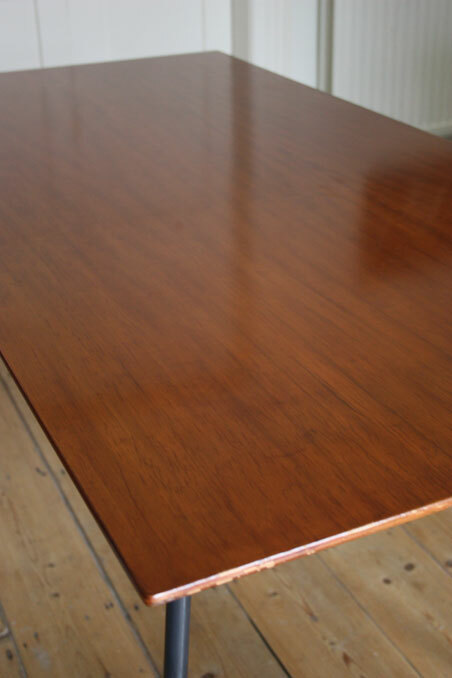 Wooden veneered top (either walnut or cherry) on grey stove enamelled base. 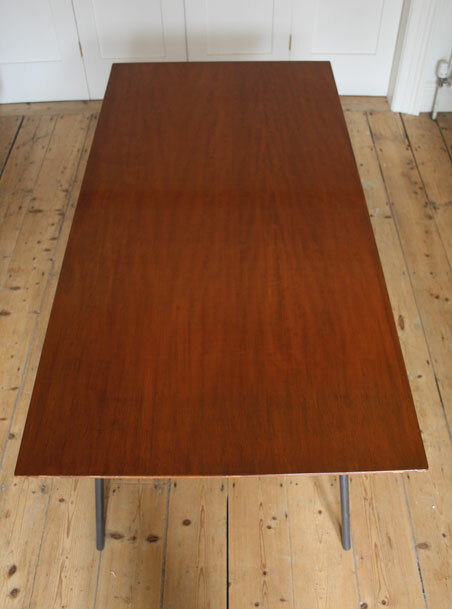 In excellent condition, the top has a beautiful colour and finish with some age-related wear but nothing distracting. 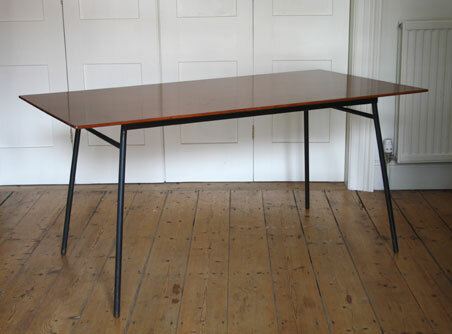 Dimensions: 151CM LONG x 75CM WIDE x 71.5CM HIGH.